Oceanco’s recently delivered 109 metre superyacht Bravo Eugenia has scooped the technology and innovation award in Yacht Club Monaco’s annual Explorer Awards. The annual La Belle Class Explorer awards were held on March 28 during Monaco Ocean Week and were hosted by yacht club president Prince Albert II. 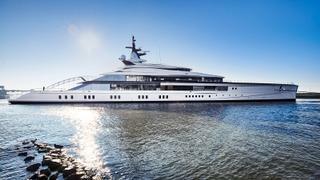 The award was presented to Oceanco chief executive Marcel Onkenhout, who accepted it on behalf of Bravo Eugenia’s American owners Gene and Jerry Jones. Gene Jones said they were “honoured” to receive the award. “The opportunity for our entire family to work alongside Oceanco in seeing this project to fruition has been an unparalleled experienced in innovation and design,” she said. Other winners in the awards included the 56 metre Alucia, which won the mediation and science category and 42 metre E&E, which won the adventure, ethics and environment award. The 36 metre Tara won the Jury’s Coup de Coeur award for her string of scientific expeditions while 55 metre Polarfront won the Jury’s Special Prize. 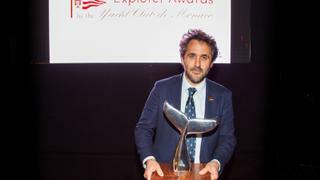 Trophies were awarded to the owners of the explorer yachts by the international 14-strong jury, which included naval architects and representatives of industry pioneers and explorers.